Morten’s favorite travel luggage is his running shoes and a paperback of the Peruvian national poet; Cesar Vallejo. With these items he is in his right element, both physically and mentally, for exploring the diversity of Peru. After 15 years of countless trips throughout Europe, Asia and Latin America, he fell strongly in love with Peru during a visit in 2007. Now his ardent passion for travelling in general and for Peru in particular has culminated with a dream job at Peru Experience where he can pass his travel experiences on to others. Morten is particularly fond of trekking in Peru, architecture, nature and gastronomy, while admitting still being it the process of learning to enjoy Peru’s famous national drink, Pisco. 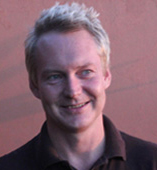 Morten, originally from Denmark, has an MA in Spanish and Comparative Literature from Denmark and Spain. In 2007 he worked abroad in Cusco for a Danish travel agency. 2009 led him to a position as a high school teacher in Denmark, before embarking into the entrepreneurial world as the co-founder of Peru Experince. Besides from having traveled extensively over the past 15 years, Morten has in the past been living permanently in Spain for 2 years and in Peru for almost 3 years. Natasha is an American who grew up just outside of Chicago. She studied Bilingual Administrative Assistance and General Management, and is fluent in English and Spanish. She also likes to help people in anyway that she can. 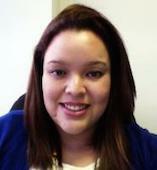 Now she has joined the Peru Experience team to help with sales and travel planning. Natasha hopes to provide insight on where to travel in Peru and help with any questions you may have about our tours offered. Gustavo is a System Engineer from Lima University, responsible for managing the programs and computer hardware. He has worked in different enterprises from other economical sectors which has improved his skills greatly. His passion for technology and especially for the web environment makes him ready for the challenge to solve any IT problem with a integral vision. Moreover he always is searching for new ways to implement informational technologies solutions into the daily work load. He likes movies and sports and, as almost any other Peruvian, he enjoys great food. He has been IT Officer since 2008. Trekking in Peru simply cannot become too long or too difficult for Erick, who is at home trekking, exploring and guiding in the Andean Mountains.Ten years ago he started to explore the mountains by himself, and today he knows these mountains better than his own pocket. His favorite routes are those of Choquequirao, Vilcabamba and the classic Inca Trail. Erick combines his passion for trekking with a thorough interest for history, biology and culture, staying up to date with the newest discoveries and theories about the many Inca mysteries. He is an excellent speaker and storyteller, and with Erick as a guide you can be certain to feel ancient history come alive. 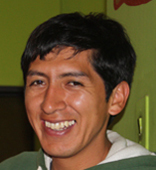 With his extended knowledge about trekking in Peru, Erick is a key player when organizing and developing sustainable trekking products in the mountains. Erick started his working in tourism in 2001 and became an official tour guide in 2005. He lives with his wife, Carmen, and daughter, Marcela, in Cusco.